Are Humans the Centerpiece of Creation? This episode deals with "Human Exceptionalism" and its threat by the animal and nature rights movements. 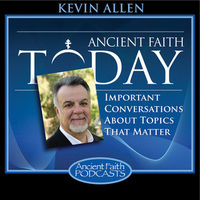 Kevin Allens's guests are lawyer and award-winning author (and Orthodox Christian) Wesley J. Smith ("A Rat Is a Pig is a Dog is a Boy"), and Fr Christopher of New Skete monastery. Wesley J. Smith, the host of Human Exceptionalism, details the life and miracles of St. John Maximovitch, his patron saint.